How fast did this week go? 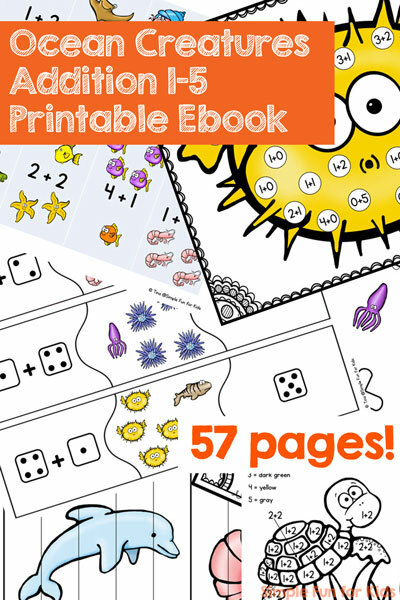 Here we are on day 6 of the 7 Days of Groundhog Day Printables for Kids! 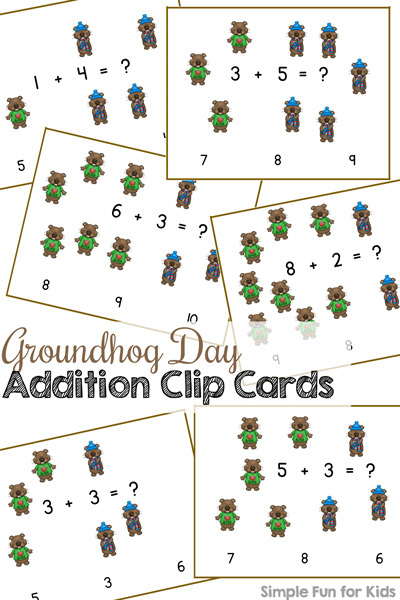 Today, I have a set of cute Groundhog Day Addition Clip Cards for you! The math facts are great for kindergarteners or anyone working on addition within 10, and using the cards with clothespins or paperclips gives a nice fine motor workout at the same time. The pdf file includes 12 pages of four addition clip cards each for a total of 48 different clip cards with sums up to 10. Every way to make each number is covered except almost all of the ways involving zero. Of the ways involving zero, I’ve only included 0+8, 5+0, and 0+9. Each card has 3 numbers at the bottom, one of which is the correct result of the addition problem displayed on the card. Print the page(s) you want to use, laminate them for better durability (clothespins are pretty hard on paper), then cut the cards apart at the brown lines. Give the kids clothespins or paperclips to mark the correct numbers. Alternatively, you could leave the pages intact and use manipulatives to mark the correct numbers – or even draw on the paper with a marker. This way, it’s a no-prep printable! Download your Groundhog Day Addition Clip Cards! The other posts in the 7 Days of Groundhog Day Printables for Kids series all use the same set. 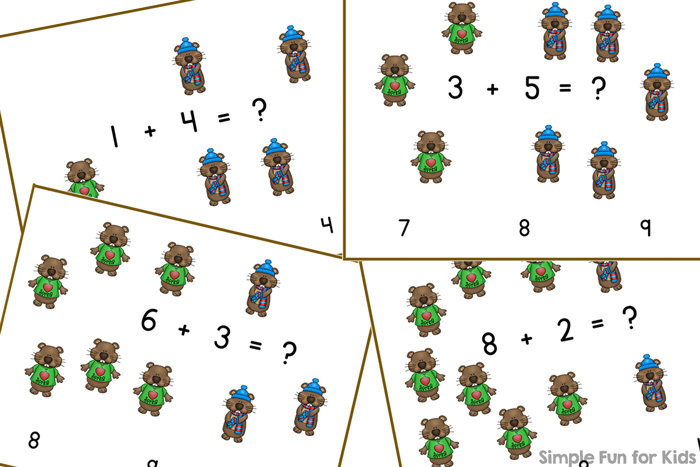 Want more addition activities like this? Click on the image to check out my ebook!